This is what we know: An electro-mechanical system can operate at about 96% overall efficiency. A typical hydraulic system will operate at about 78% overall efficiency. 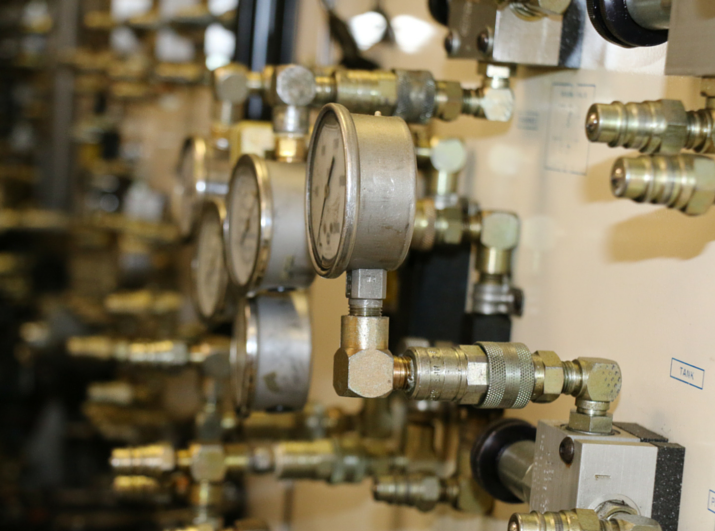 Down at the bottom of the list we find that a typical pneumatic system is about 6% efficient. So, this begs the question; with the price of energy constantly increasing and with the pressure to “go green”, why would anyone in his right mind choose to use Fluid Power as a means to do work? I was recently on a guided tour of a major plastics injection molding facility accompanied by a group of about 20 mechanical engineers. The tour led us to an experimental molding machine that was entirely electro-mechanical. There was not so much as a cooling air jet blowing on the equipment. The tour guide proudly announced that the company was looking at this machine in the hope of getting away from Fluid Power because everyone knows, and I quote, “Hydraulics is messy and expensive.” I was a guest and quietly and painfully bit my tongue while everyone else nodded in unquestioning agreement. Now, I know that this is anecdotal. But a large number of anecdotes can show a pattern and enough anecdotes may even be considered data. The fact is that a substantial group of design engineers currently planning the equipment of tomorrow do not question the idea that it is wise to avoid Fluid Power if at all possible. These are all appropriate things to discuss when presenting the case for Fluid Power and many of us have been successful in doing so. However, in this article, we are going to focus on energy because if Fluid Power cannot be shown to be an efficient alternative to other forms of power transfer, then we may as well start packing up our formulas and find some other line of work. The frustrating fact is that Fluid Power does not have to be so inefficient. For years Fluid Power Professionals have been complaining about having to give away engineering in order to be competitive and sell products. The irony is that the complaint spotlights the fact that we are the ones that have designed the very inefficient systems that are now haunting the Fluid Power Industry. The users of Fluid Power have come to us, the Professionals, asking us to provide a solution to their power transfer needs. Many of them would not know a kilowatt from a horse radish or a BTU from a lemon drop. But we do! In order for us to design their systems, we have to calculate the forces, speeds, pressures and flows that are required to get the job done. I had the opportunity to supply a system where an upward acting press had a 32,000 pound platen that had to be lifted at a rate of 5 inches per second and then move 1 inch per second applying a force of 150 tons. I suggested a system using a 40 hp electric motor. The machine designer was skeptical and told me he did not think it would work. His company had built similar machines before and had always been supplied with 60 hp electric motors to drive the hydraulic pumps. I asked him to do the math with me. The greatest amount of power was consumed in the lifting of the platen. The pressing force required relatively little power because of the slow speed. Knowing that HP = 550 lb/ft/sec, I asked him to tell me how much power would be needed to lift the platen at the rated speed. He got out his calculator and did (32,000 / 550) * (5/12) = 24.24 or about 25 hp. My 40 hp unit was a concession to the inefficiency of the system and to the availability of the type of electric motor I planned to use. When the finished machine arrived at its new home in a manufacturing facility, the plant engineer was skeptical because we had placed a relatively small heat exchanger on the system. He was convinced the power unit would overheat. He had several other machines with 60 hp electric motors and they all had large heat exchangers. The users of Fluid Power have placed themselves at our mercy. Otherwise competent engineers, lay aside what they know about physics when it comes to Fluid Power. They want us to handle the “black box” and trust us to provide the best system. In the illustration, neither the machine designer nor the plant engineer had done the math to see what the actual requirements where to move the load. They had left it up to us, the Fluid Power Professionals, to tell them what they needed. We failed them. Oh, we gave them systems that worked and met the stated requirements, but not systems that represent the best that could be done. The result was that, for years, the machine designer had been supplying inefficient systems and the manufacturer had been paying the energy bill for that inefficiency. They had accepted the wasted energy as simply the cost of doing business, an inherent characteristic of Fluid Power. By the way, the system works great and has been in service for about 15 years. My one regret is that it was after the fact that I realized I could have supplied a 12 hp electric motor to do the job. I plan to discuss that in another article. We are Fluid Power Professionals. That means we are professionals at transferring energy. We need to think of ourselves as Energy Professionals specializing in Fluid Power. We need to involve the users of Fluid Power in the decision making process and let them know the cost of inefficiency and offer them the most efficient system available. We need to begin thinking about the entire energy transfer system; from the combustion engine or electric motor to the work being performed. We need to view every kW wasted, every scfm tossed away, and every BTU removed as an opportunity for improvement. To do less would be a disservice to our profession and to those who depend on our expertise. To learn more about Fluid Power training programs from NTT Training call (855) 712-7353 or CONTACT NTT TRAINING today!